Bobbi Molinsky had it all--a successful husband, two great boys and a job she loved--then she opened a stray email from the newest attorney at Chuck's firm and is blindsided by the discovery of his extramarital affair. An angry confrontation leaves her with the broken remains of their eighteen-year marriage. Guided by their pastor, Chuck commits to do whatever it takes to win Bobbi back, but she is wrestling with much more than his infidelity. Caught between a crisis of faith and her deepest fears, trust is a risk she can't afford to take. 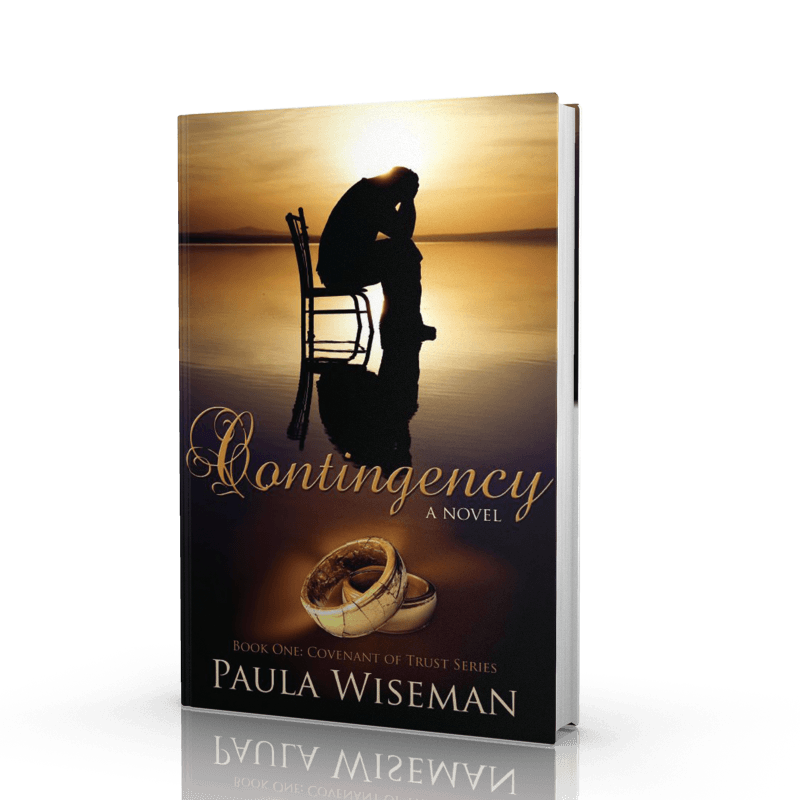 Faith and real life meet head on in the Covenant of Trust series and CONTINGENCY is where it all begins. If you want characters you instantly connect with, authentic struggles that are raw, honest, and platitude-free, wrapped a story that pulls you in and won't let go, you want CONTINGENCY. Pick up your free copy now. You won't put it down. Enter your email address to get the link for your free book delivered to your inbox. We value your privacy and would never spam you. You will receive occasional emails about new releases and promotions appropriate for believers who enjoy faith-based fiction or who want to deepen their faith. You can unsubscribe at any time.